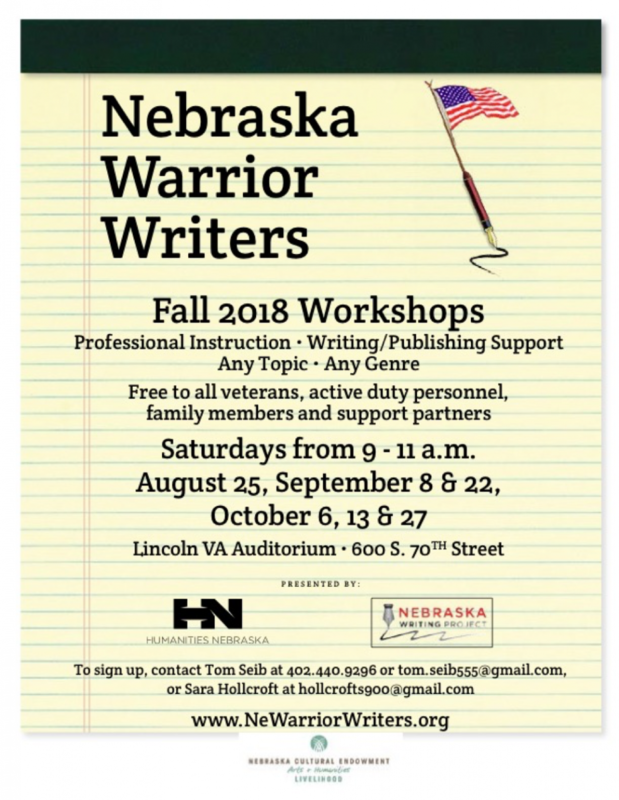 In the autumn of 2014, Humanities Nebraska, the Nebraska Writing Project and the Veterans Administration partnered together to launched a new writing program aimed at veterans and active duty military personnel. 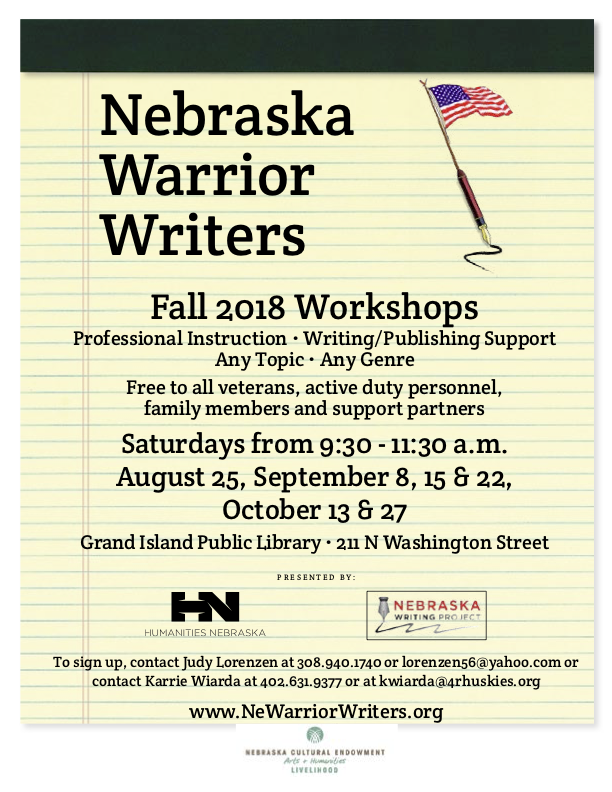 Participants need only be interested in writing in any form – they do not need to have any previous writing experience to benefit from the workshops. 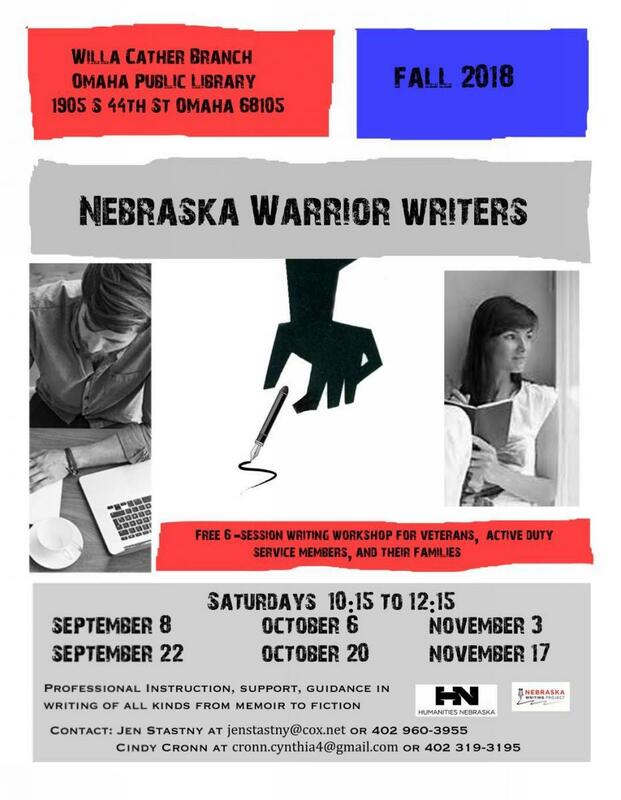 Facilitated by professional writing instructors, the workshops consist of six biweekly sessions focused on developing strategies and skills. Model texts are read and discussed by the group to help participants identify how good writing is built and to allow writing practice with immediate feedback. The range of works include fiction, poetry, and memoir. Writers develop a strong bond as they encourage each other. The workshop culminates in a voluntary public reading. Saturdays, 9:30 - 11:30 a.m.
Saturdays, 9:00 - 11:00 a.m.
Saturdays, 10:15 a.m. - 12:15 p.m.